On its return from the festive season, futsal resumed this week with the Knock Out Quarter Final. At this stage occured the least unexpected; the elimination of Valletta from this competition by the University of Malta (UOM). Despite holding on to a perfect track record in the league, Valletta had to bow to the Universitarians’ determination which made them victorious with a win of 4-2. UOM went on the lead through Nermin Hasanbegovic and Shawn Deguara. The Citizens replied through Mohammed Lamari’s brace, giving the momentarily equalizer. The Universitarians returned again on the lead through Gary Inguanez. In the last minute, when Valletta pushed everyting forward by utilizing Murtaz Kakabadze as the flying keeper, UOM’s goalkeeper Dylan Cacciatolo grasped the opportunity to score from the other side of the pitch in a clean net. This magnificent goal sealed UOM’s qualification to the semi final and filled them with joy and satisfaction. Luxol also made it to the semi final, with an easy win of 11-1 against Marsaskala. Swieqi United also had a stunning outcome and ticketed a place in the semi final, winning 5-1 against Pietà Nordiska. 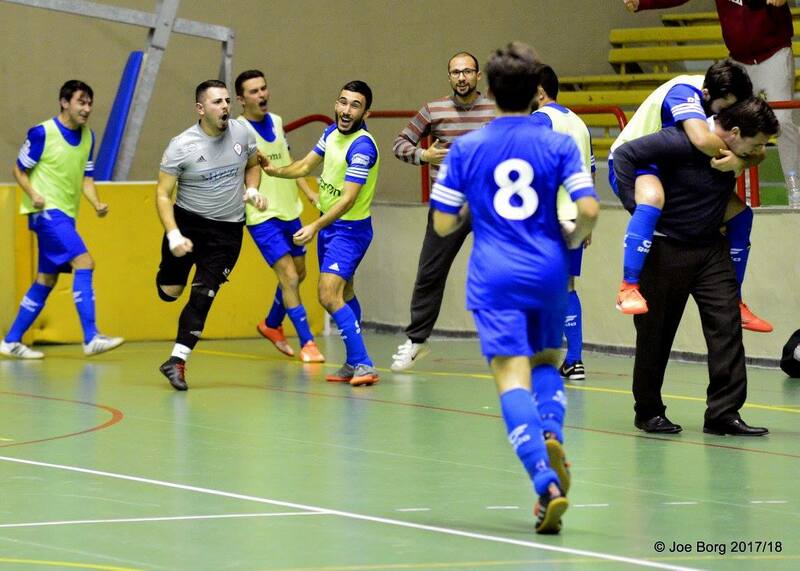 Hamrun also joined the other three semi finalists, beating Tarxien JMI with the end result of 5-2.